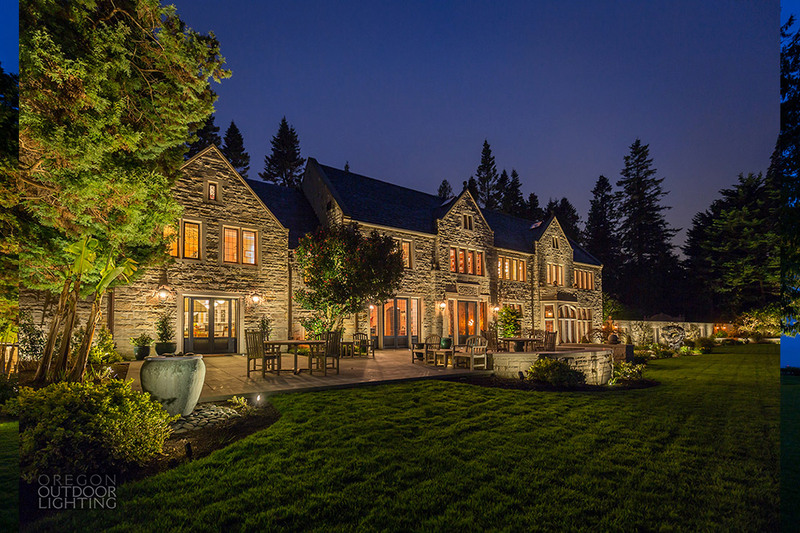 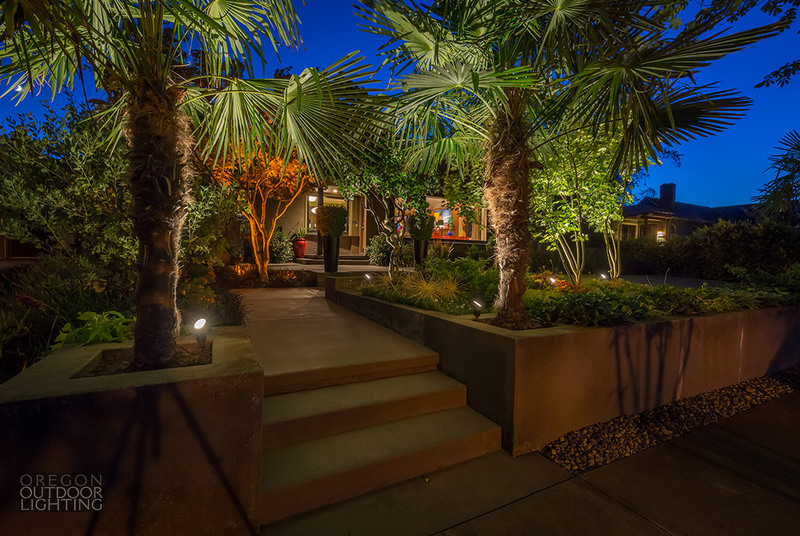 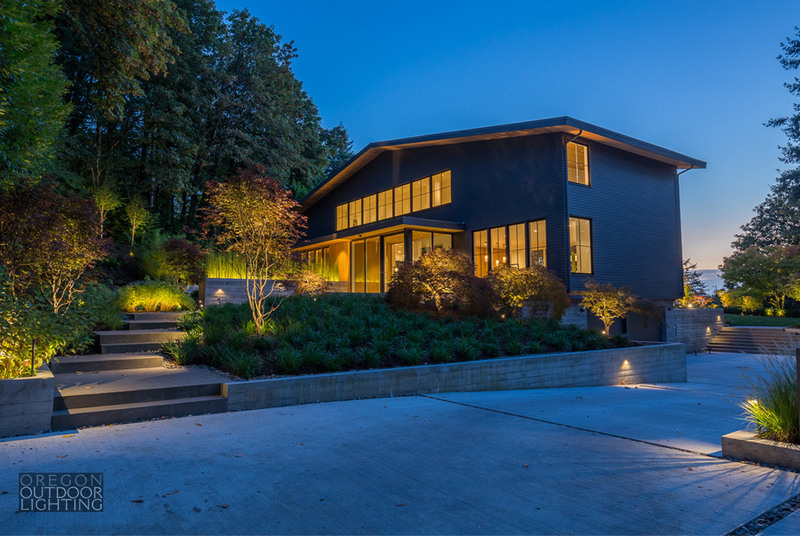 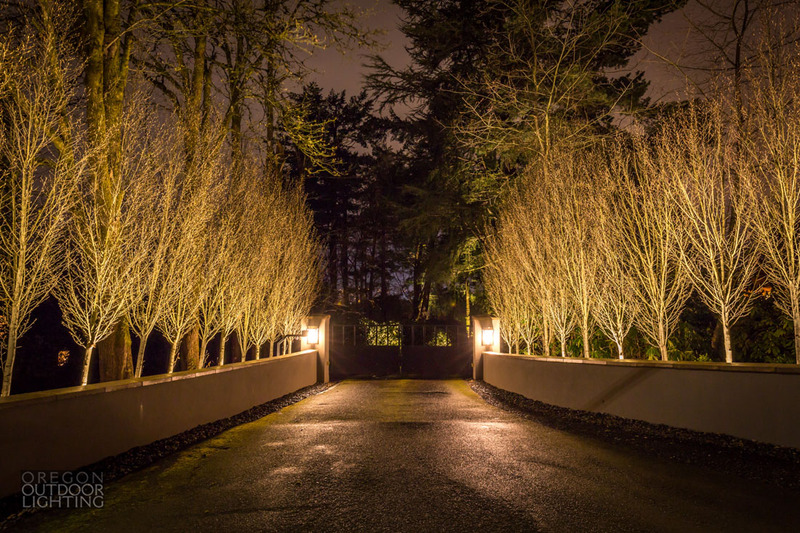 Oregon Outdoor Lighting is a premiere Oregon and Washington custom LED lighting company. 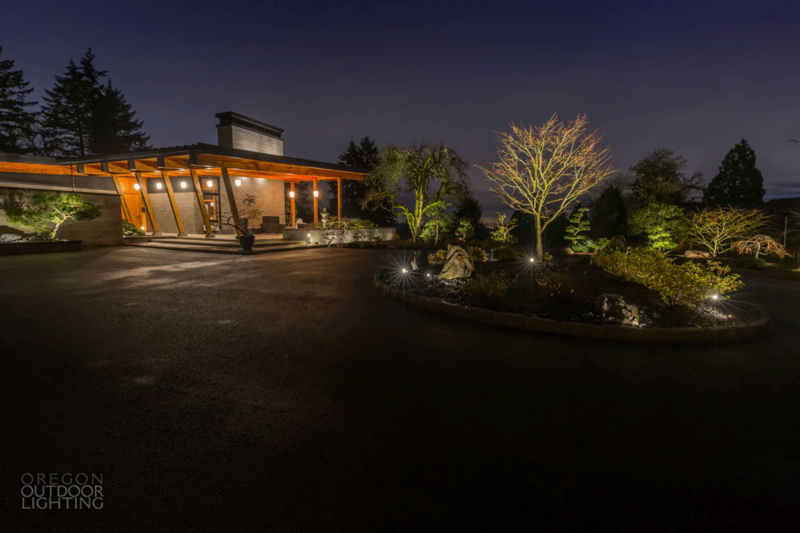 Oregon Outdoor Lighting worked with Eris to capture accurate representations of their work through photography and a website that clearly showcases their products and services. 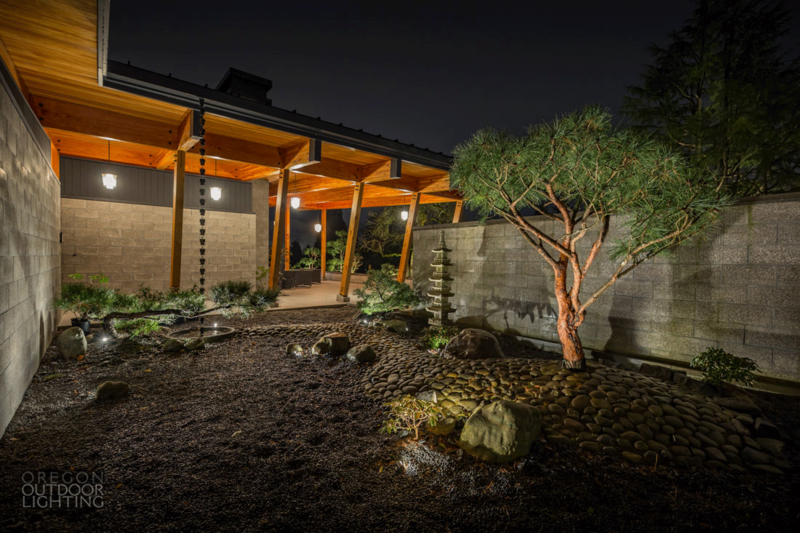 Eris helped Oregon Outdoor Lighting identify areas where they could not only improve, but make stronger impressions on the audience they already had. 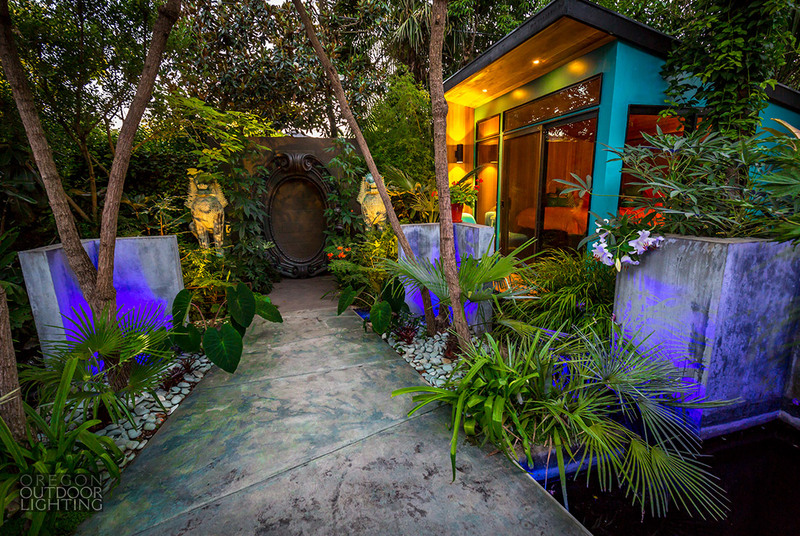 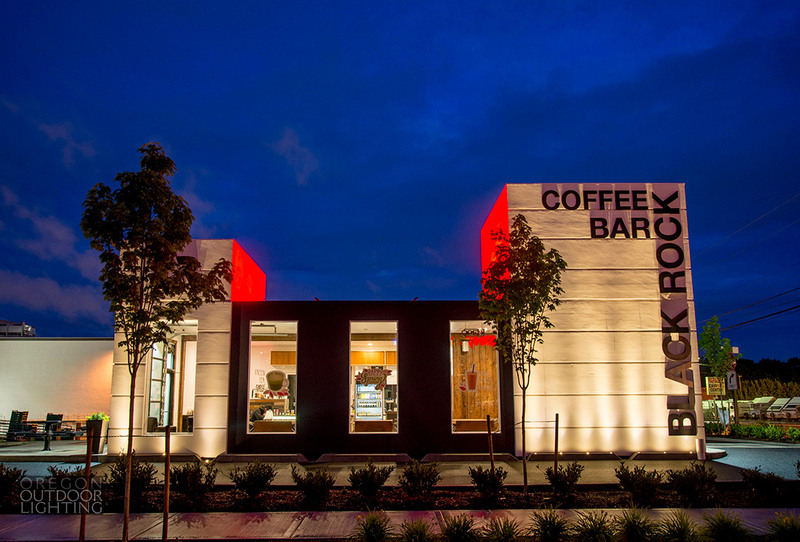 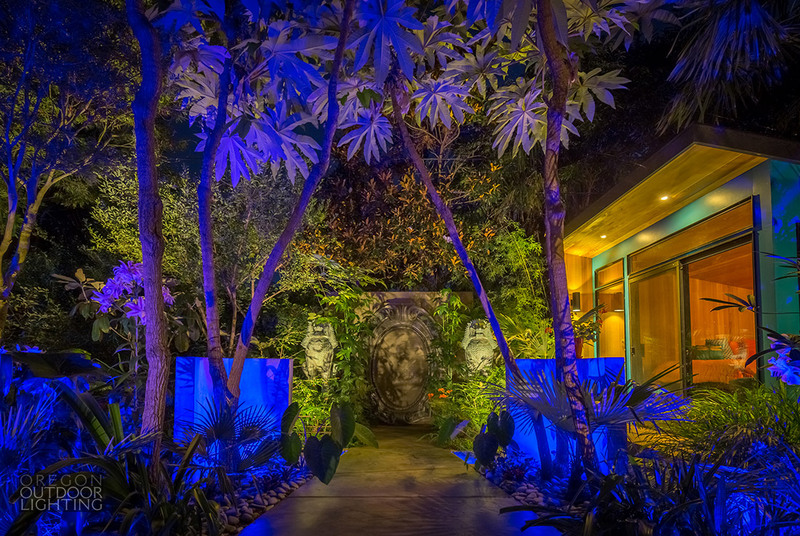 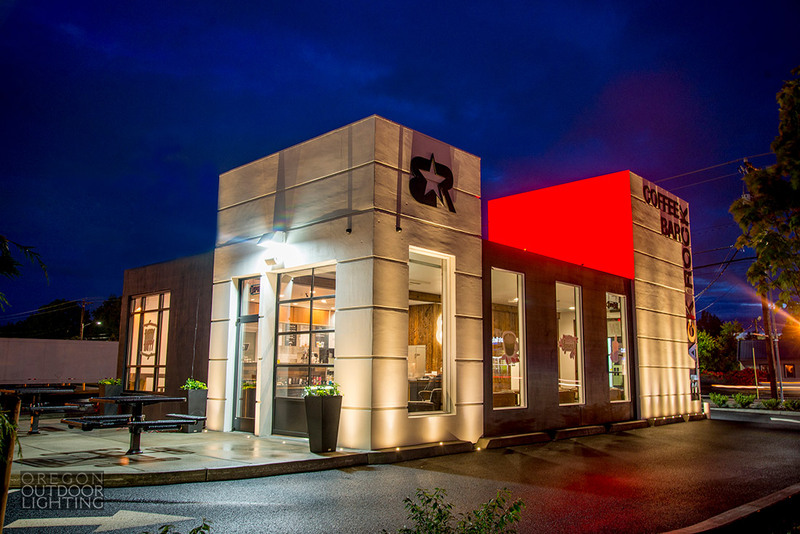 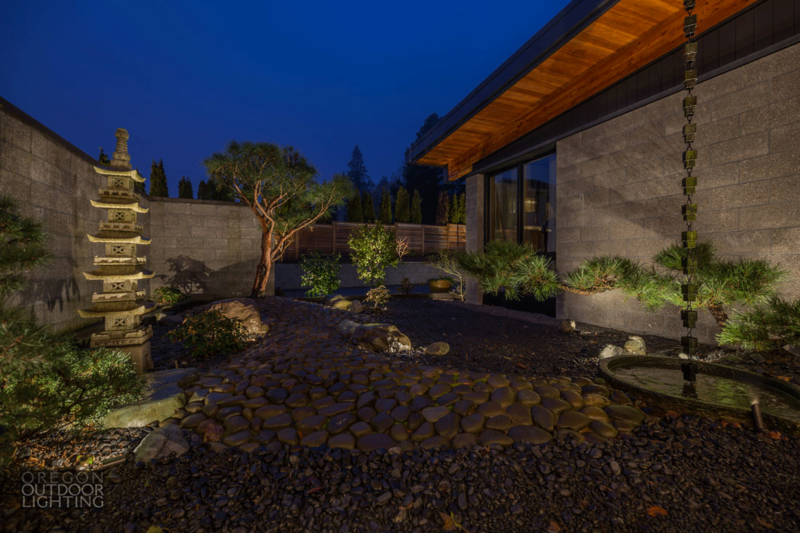 Because their services include custom outdoor LED lighting, they found it difficult to capture the effects that the lighting had at night with proper photography. 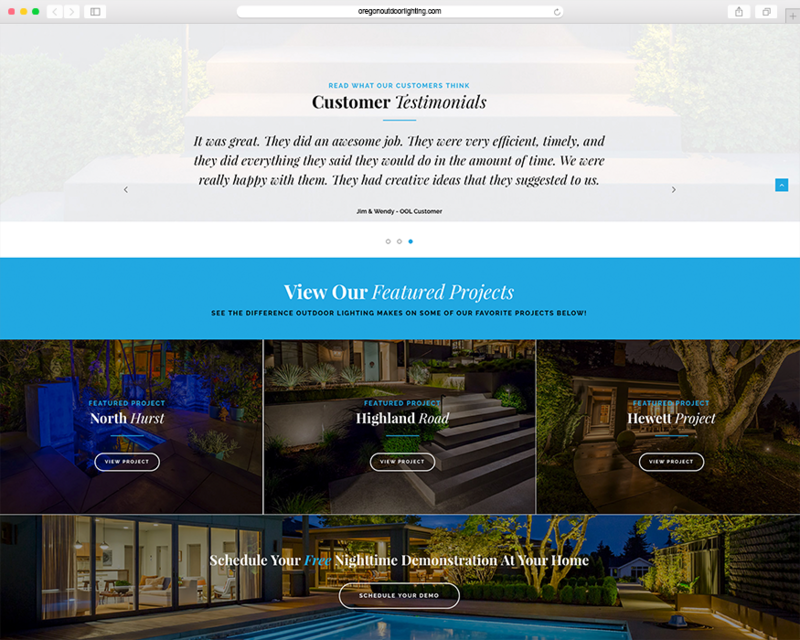 Eris’s photographer helped capture the most accurate representation of their products and services to be displayed on their social channels and website. 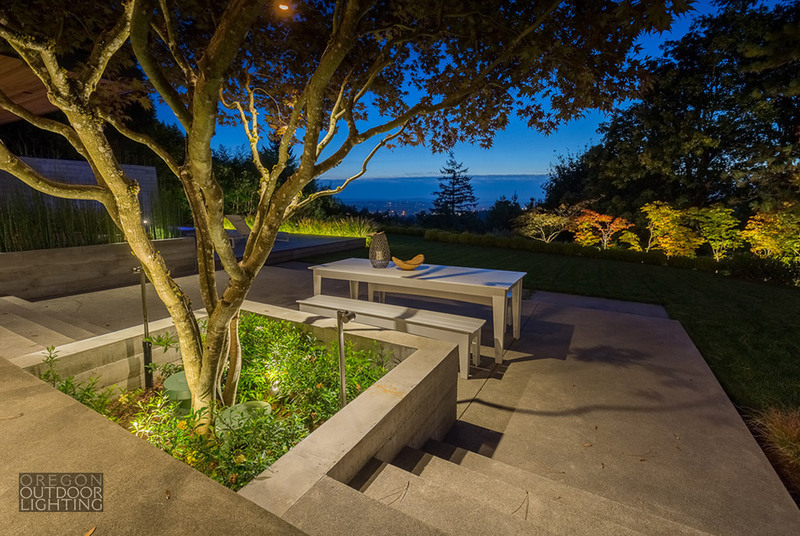 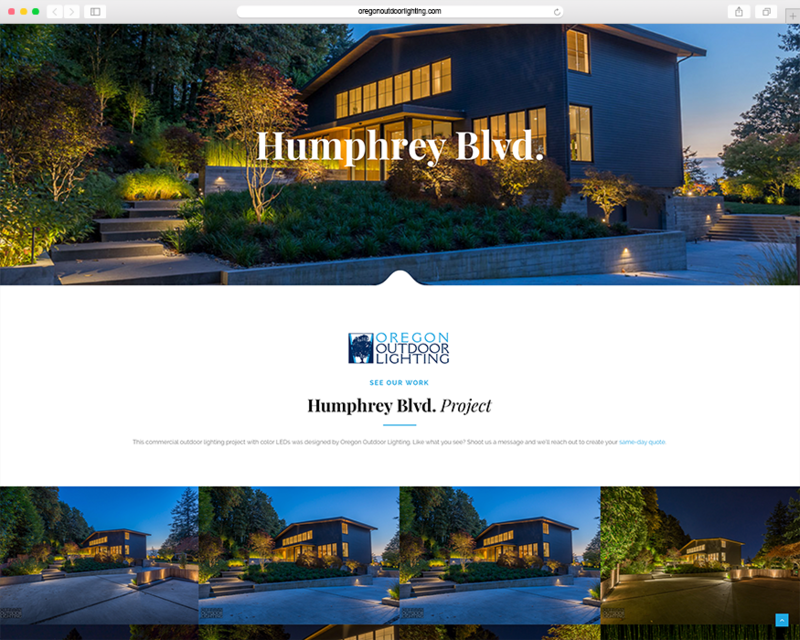 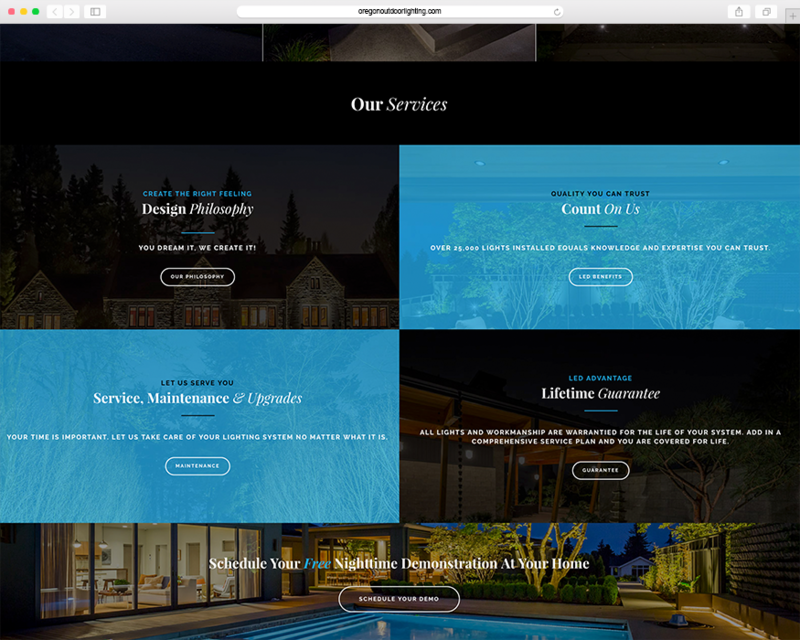 The Oregon Outdoor Lighting website was re-designed with emphasis on differentiating their local brand with their national brand – Apex Outdoor Lighting – as well as showcasing their new imagery with complimentary copy. 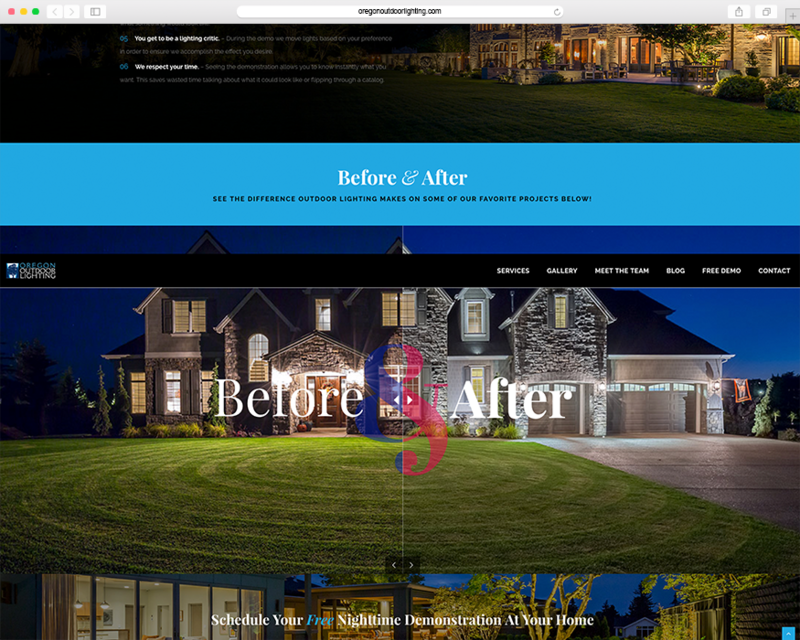 The updated website kept the same general feel as the old one but instead made the layout more functional and user friendly. 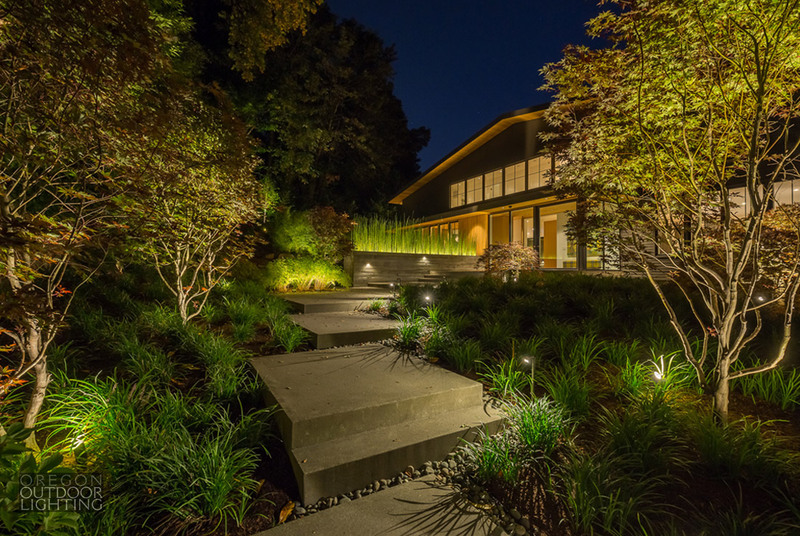 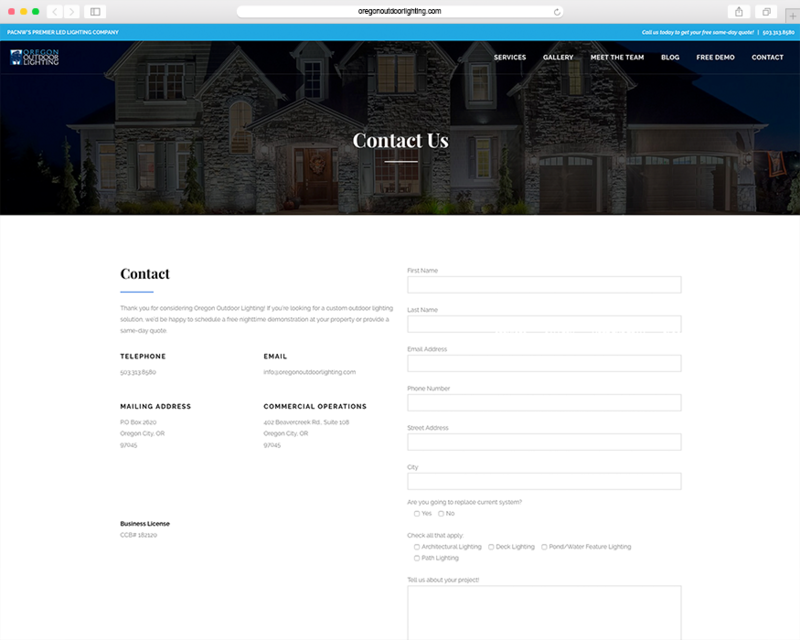 The Oregon Outdoor Lighting website is optimized for mobile use and their gallery pages have been enhanced to be more captivating. 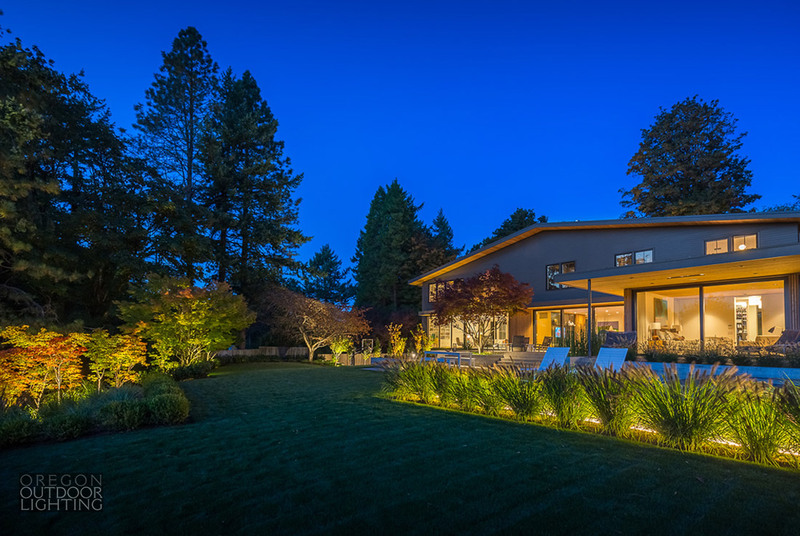 The Oregon Outdoor Lighting photography is the bread and butter of the website. 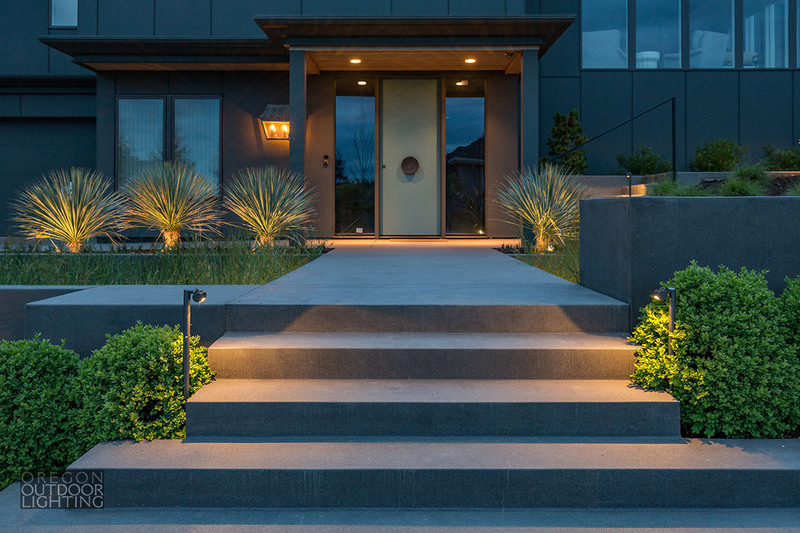 For someone to invest in custom outdoor lighting, they are going to want to see an example of the finished product. 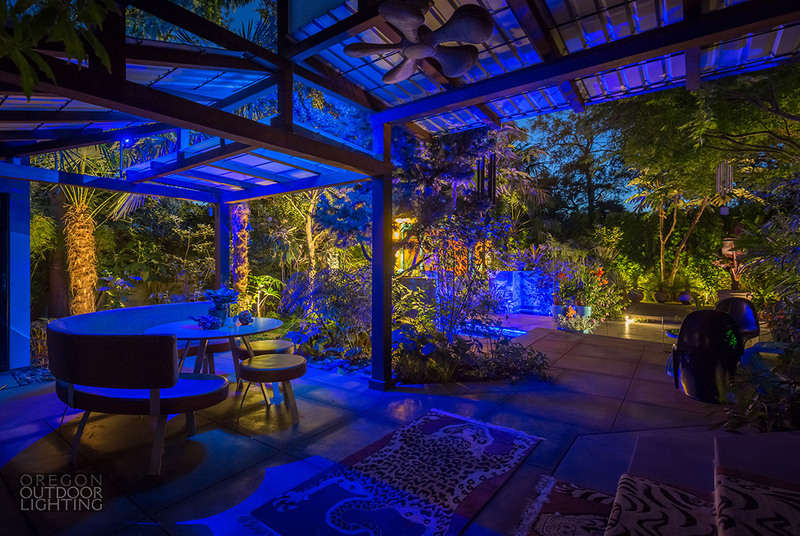 This can be difficult for a product that shows the difference lighting can make. 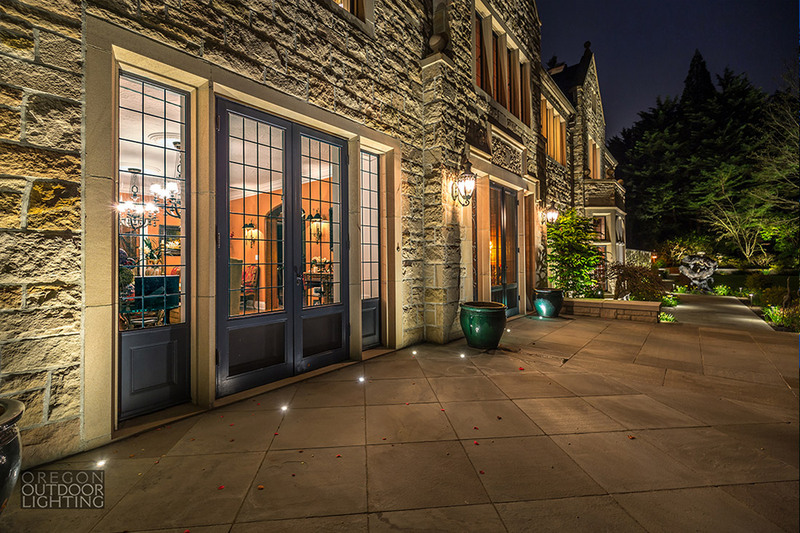 Eris’s photographer was able to capture highly accurate and beautiful photography to add to their site and portfolio.